As the US healthcare system responds to the pressures of reform, organizations across the nation are faced with the challenge of lowering costs while increasing value. Growth that leverages economies of scale, standardization efforts that increase operational efficiencies, and patient experiences that respond to consumer demands are all key strategies that help health systems meet this challenge. Physical environments that consistently support these strategies across an entire health system are imperative to successful implementation. 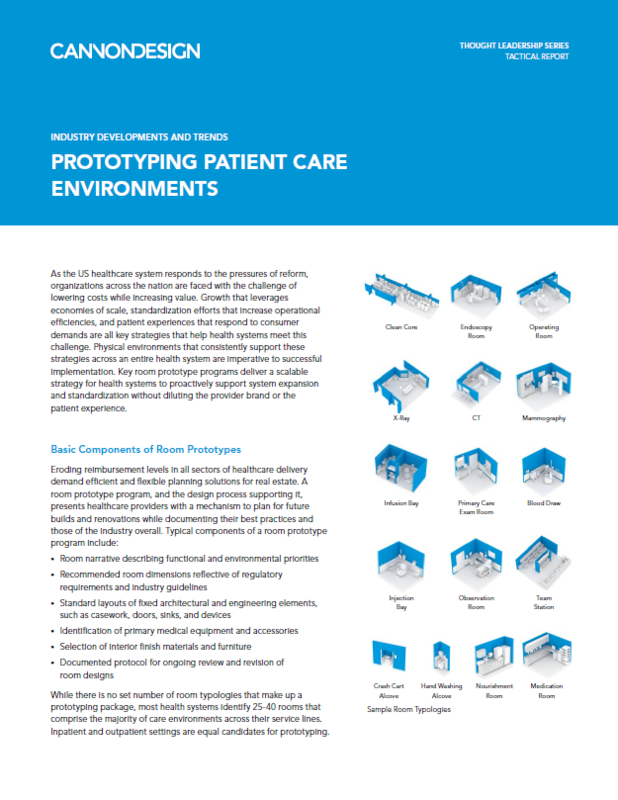 Key room prototype programs deliver a scalable strategy for health systems to proactively support system expansion and standardization without diluting the provider brand or the patient experience.